Burt Davis, longtime associate director for the University of Kentucky Center for Applied Energy Research's Clean Fuels and Chemicals Group, has been selected as the 2013 American Chemical Society's Energy & Fuels Division Distinguished Researcher Award in Petroleum Chemistry. Criteria used for the award include excellence in research in the broadly defined area of petroleum chemistry, as evidenced by publications, patents, invention or commercialization of new technologies, and leadership in the research area. Dr. Davis is also a former ACS Storch Award recipient from 2002. One of the ACS top awards, the Storch Award recognizes distinguished contributions to fundamental or engineering research on the chemistry and utilization of all hydrocarbon fuels, with the exception of petroleum. Davis was honored by the ACS with a symposium in his honor at the New Orleans Conference held April 8, 2013. Davis is also an adjunct professor of chemistry in the UK College of Arts and Sciences. Davis is responsible for catalysis, Fischer-Tropsch Synthesis and direct coal liquefaction research at CAER, and created a program that involved both academic research and cooperative research with industry. He has developed a laboratory with extensive capability in the use of radioactive and stable isotopes in reaction mechanism studies and materials characterization, and developed research programs in: Fischer-Tropsch Synthesis, surface science studies, heterogeneous catalysis, materials science, organic analysis, 1/4 ton per day direct coal liquefaction pilot plant operation, liquefaction mechanistic studies, clean gasoline reforming with superacid catalysts, and upgrading naphthas. Davis has held various offices and membership in several professional societies including the ACS, the Catalysis Society, and the Materials Research Society. 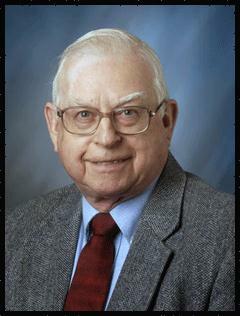 He is the recipient of the H. H. Storch Award for 2002 and is also the author of more than 450 technical publications.